This stunning 18 m yacht was created by the designers of Azimut and Pershing. This absolute prototype is probably the most spacious in ist category. The Priamos 1 is super fast, reaching speeds of up to 45 knots. With a cruising speed of 36 knots, it’s possible to reach any destination quickly and comfortably. With a combined output of 2 200 HP, the two MAN Gold Standard engines are a prime example of fine German engineering. 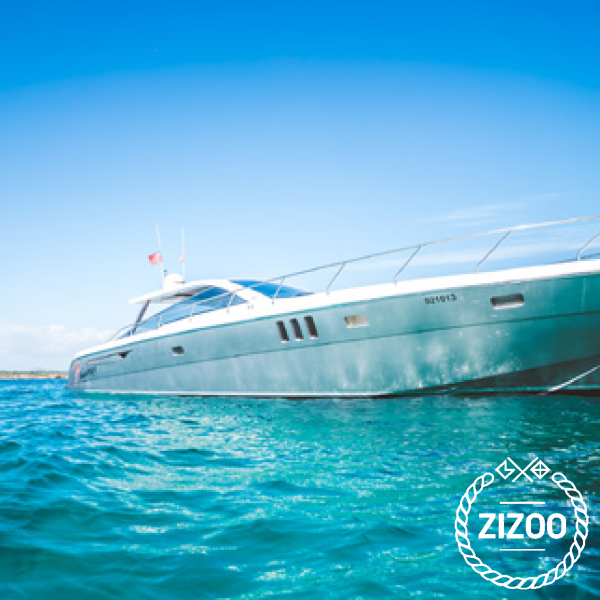 It features large, comfortable sundecks which can easily handle up to 12 persons. There is one master cabin equipped with a large king-size bed and modern bathroom and one further cabin with two separate beds and en-suite bathroom. All cabins come with AC and flat screen TV. The salon also features a fully equipped kitchen.